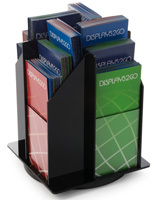 Pocket Design Adjusts for Custom Sizing! 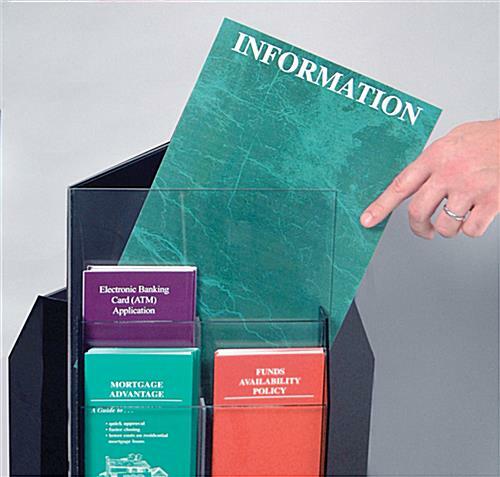 Rotating Base Makes Pamphlets Accessible! 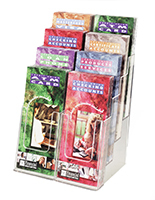 Smaller Footprint is Great for Countertops! 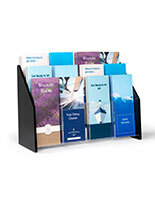 This desktop literature organizer makes sharing promotional material with clients a cinch! 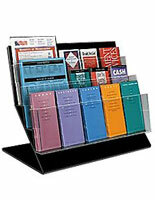 This rotating stand features 1" deep pockets that are adjustable by inserting or removing the pegs. 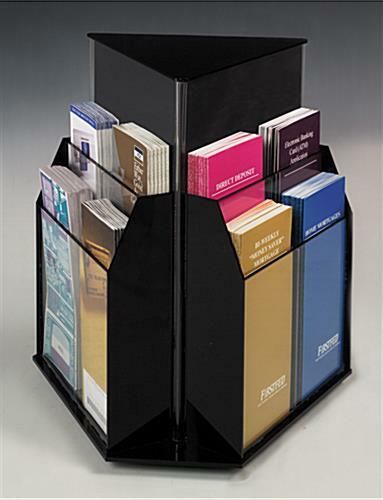 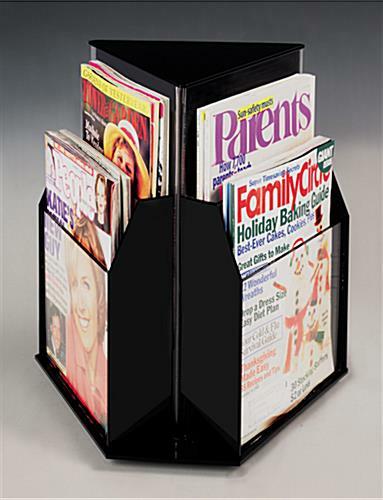 This desktop literature organizer, such as a card pocket system, accommodates 8-1/2"w x 11"h brochures and 4"w x 9"h catalogs. 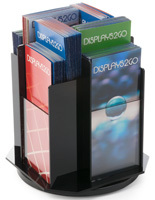 Buy these units in bulk for a deep discount! 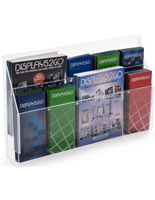 Each of these desktop literature organizers that are acrylic fixtures have a back channel for customized graphics! 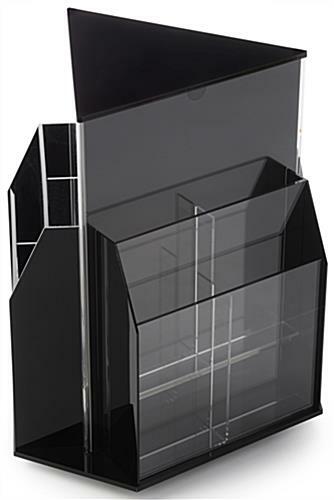 Please Note: Please note: For added protection during shipping, this item ships in a UPS Oversize 2 box, which may result in an increased shipping charge. 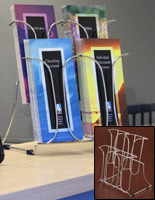 View LARGE IMAGE & SEE HOW IT WORKS.